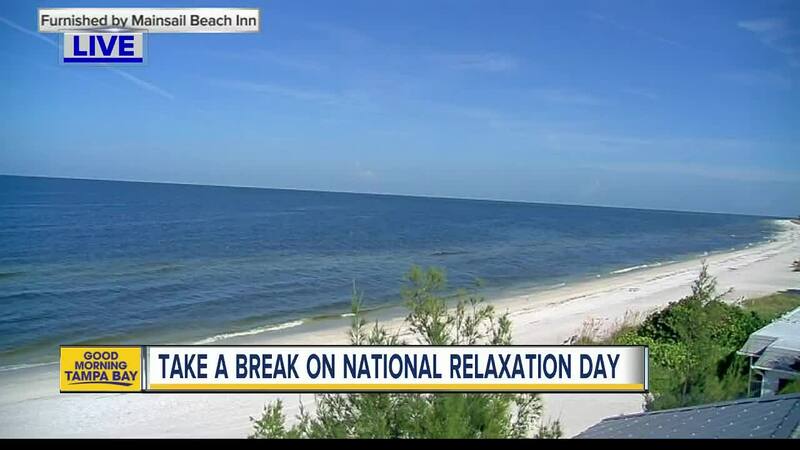 Wednesday, August 15 is National Relaxation Day. If you are stuck at work and missing out on a spa day or reading at the beach, relax, literally. We've got you covered.
" Good Morning America " turned to two experts for tips on how to relax while you're at work. The good news is that relaxation doesn't mean you have to lay down on a couch or take a nap, two things that would turn heads in the office. "Simply plopping on the couch doesn’t address the long-held tension in your body," said Jillian Pransky , author of "Deep Listening" and a mindfulness teacher and certified yoga therapist. "True relaxation, conscious relaxation...creates a sense of space, ease, in our body and mind so that we can better handle the daily stressors that arise." 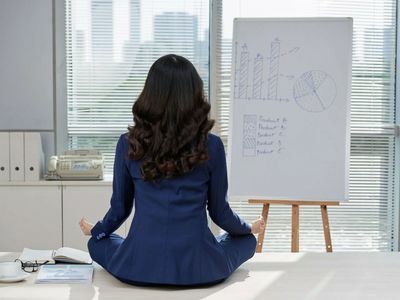 Especially at work, taking time to mindfully relax, as Pransky calls it, can calm your nervous system, give you an energy boost and clear your thinking. 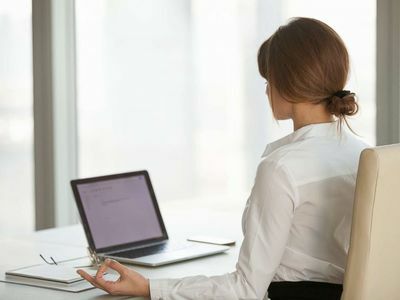 While mindful relaxation can calm you on the inside, simple movements at your desk can relax your body physically too. 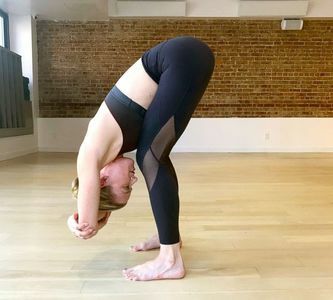 "When we are relaxed, we can see things much more clearly, we are quicker to find creative solutions to challenges and we are easier to work with and generally be around," said Bethany Lyons, the founder of Lyons Den Power Yoga . If you're not able to get up and move, simply playing music at your desk that gives you energy and puts you in a good mood is beneficial, according to Lyons. Also try to think of time away from your desk, even as little as two minutes, not as a distraction from work, but as a break that will make you a better, more productive worker when you return. With that in mind, try these two mindful relaxation techniques from Pranksy and two yoga moves from Lyons at your office and just, relax. The hips tend to hold a lot of tension -- especially from how much we sit during the day, at work, in our cars, etc -- so to ease the physical tension of this area is a great way to find some relief and relaxation. Standing near a wall or a desk: Bend both legs and then send the right leg across the standing left leg, with the foot flexed and sit back as it sitting down onto a bench. Use the wall or desk for support so you can relax into the stretch and any resistance you feel. Hold for 10 breaths. Switch sides and repeat. Use this technique when you body feels tight and uncomfortable, or when you feel irritable or short-tempered. Plan to do a relaxation pause like this at least three times a day. Come to a relaxed sitting position, eyes open, or closed. Use three slow exhales to allow the weight of your body to land more heavily on your chair. On your inhale, gently curl your hand into a fist, firm all the muscles from your hands to your shoulders, and draw your shoulders up towards your ears. Scrunch up your face. Then, as you exhale out through your mouth, completely let go of all tension in your face, shoulders and arms. On your inhale, gently, progressively, tighten your thigh muscles, seat, belly. And as you exhale, release the muscles of your lower body and allow your belly to soften completely. On your third inhale squeeze all the muscles of your upper and lower body together, equally everywhere. As you exhale let all your muscles release. Allow your body weight to drop into your chair completely. Pause and feel your seat on your chair and your feet on the ground. Let your breath fill and refresh your entire body. Slowly shift your awareness back into the space around you. Flip your vision and clear your head by going upside-down. Take your feet either hip-width distance or wider (wider stance gives a little more stability). Fold forward the upper-half of the body over the legs, bending the knees slightly to take any unnecessary pressure out of the lower back and not to strain hamstrings. Let the head hang. Either clasp hand to opposite elbow overhead, which creates added weight. Take 10 deep breaths in the pose, slowly roll up using a hand on the legs for support once complete. Step away from your desk to a window or head outside, just be sure you can see the sky. Soften your face, shoulder, and belly and take three deep breaths. Think of your mind as open as the sky. Consider that just as the sky stays open while clouds flow through it, you can relax into the spaciousness of your mind as thoughts flow through it. To finish, notice your feet on the floor and imagine your mind in the shape of the sky. You'll go back to work more energized, grounded and open.